Fetch & Co., the Lakewood-based boutique that specializes in body confident clothing, has confirmed that it is expanding the Peace Project, the popular limited-edition line of T-shirts launched last year. Fetch & Co. owners Julia Gramenz and Abbey Markiewitz will celebrate the full launch of their line, along with the one-year anniversary of the opening of their storefront, with a private party on February 8 followed by an open-house-style celebration on February 9 that includes a free tote give away to the first 20 customers purchasing a Peace Project t-shirt. The idea for the line came when Gramenz and Markiewitz were talking about how they could give back to the community. At the same time, they were looking for what Gramenz calls “that perfect graphic tee that would flatter women of all shapes and sizes.” One day the women came up with the peace pun and decided to create the tees themselves. The initial line focused on holiday options, including “Santa Peace Stop Here” and “Peace Be Merry.” While the new messages are top secret until February 8, the private party will include a mini fashion show broadcast on Facebook Live at 7 p.m. so fans can get a sneak peek. The styles include short-sleeve and long-sleeve tees and a t-shirt dress. Prices range from $23.50 to $28.99 for the shirts and up to $41.99 for dresses. 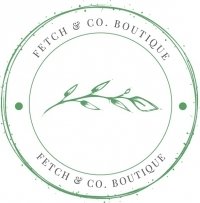 Fetch & Co. was born in October 2017 and has grown from a few racks in a basement to a storefront in Lakewood and online store. The boutique often pops up at local events. Fetch & Co. also offers private events. For more information, visit shopfetchandco.com or call(440) 462-9124. Dare2Care is a school-based anti-bullying program that creates sustainable measures to communities free of harassment, brutality, and indifference. The Dare2Care program is part of the Cleveland Leadership Center, which works to educate, connect, inspire and engage leaders of all ages to drive positive community change.